ABC Television. 1959. Original Producer: Beverley Gledhill. Theme: J & G Ayling. (Known as “Mr. Squiggle And Friends” from 1977). CD (ST)	ABC. 8143922. (CA 8143924). 1992. “HERE’S MR. SQUIGGLE”. Produced by Tania Bowra. Engineered by Guy Dickerson. Recorded at Megaphon Studio, 1991. Mastered at Studio 301, Sydney, 1991 by Leon Servos. Executive Producer: Diana Manson for ABC Music. Thanks to Norman and Margaret Hetherington; Rebecca Hetherington; the Gang ‘o’ Six - you were great; Gilly and Ken for bringing the Gang ‘o’ Six; Guy Dickerson. 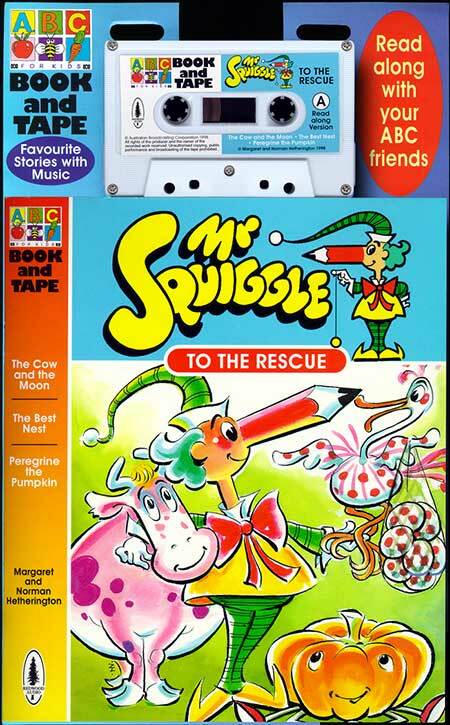 Mr Squiggle (Main Theme). (0:55). (J & G Ayling). v: Jo Dikkenberg, Simon Dikkenberg, Angus Evans, Jessie Evans, Elise Robertson, Abby Robertson. Whaddya Use Your Nose For? (1:26). (Archer). (Warner/Chappell). v: Gillian Eastoe, Floyd Vincent, Jane Fisher. Gus’s Wonder Song. (2:28). (Margaret Hetherington/Bowra). (Control/Rondor). v: Gus The Snail. The Doormat Song. (1:48). (Eastoe). (Rondor). v: Floyd Vincent. (Hunter Brown/Vincent). (Warner/Chappell). v: Jo Dikkenberg, Simon Dikkenberg, Angus Evans, Jessie Evans, Elise Robertson, Abby Robertson. Featuring Rebecca Hetherington and Bill Steamshovel. Walking (On The Milky Way). (2:17). (Henri). (Mother Hen Music). v: Mark Punch. Mr Squiggle Has Arrived. (1:08). (Spartels). (Warner/Chappell). v: Jo Dikkenberg, Simon Dikkenberg, Angus Evans, Jessie Evans, Elise Robertson, Abby Robertson. Magic Eyes. (3:03). (Eastoe). (Rondor). v: Gillian Eastoe. The Squiggle Song. (0:58). (Hazlehurst). (Control). v: Jessie Evans. Squiggling. (2:47). (Hunter Brown/Vincent). (Warner/Chappell). v: Floyd Vincent. The Numberumba. (2:35). (Archer). (Warner/Chappell). v: Jane Fisher. Hurry Up. (2:01). (Browne). (Warner/Chappell). v: Floyd Vincent. Blackboard Rap. (0:42). (Hunter Brown/Vincent). (Warner/Chappell). v: Jo Dikkenberg, Simon Dikkenberg, Angus Evans, Jessie Evans, Elise Robertson, Abby Robertson. Blackboard Song. (1:42). (Eastoe). (Rondor). v: Gillian Eastoe. Walking In Space. (2:31). (Browne). (Warner/Chappell). v: Floyd Vincent. Crazy Things I’ve Seen. (1:35). (Henri/Catchlove). (Mother Hen Music). v: Floyd Vincent. Running Rings Around Saturn. (2:24). (Eastoe). (Rondor). v: Gillian Eastoe. Riddle-De-Dee (Part Two). (1:53). (Hunter Brown/Vincent). (Warner/Chappell). v: Jo Dikkenberg, Simon Dikkenberg, Angus Evans, Jessie Evans, Elise Robertson, Abby Robertson. Giggle With Squiggle. (1:27). (Spartels). (Warner/Chappell). v: Gillian Eastoe. Goodbye Song. (1:06). (Henri). (Mother Hen Music). v: Floyd Vincent, Jane Fisher. CA Australian Broadcasting Corporation. ISBN 187598086-5. 1998. Published 1998 by Redwood Audio a division of Hinkler Book Distributors Pty. Ltd. Produced under license from the Australian Broadcasting Corporation. © Norman and Margaret Hetherington 1998. Stories by Margaret Hetherington. Illustrated by Norman Hetherington. Read by Rebecca Hetherington. 01: The Cow and the Moon. CD (OP) Australian Broadcasting Corporation. 300580-2. 2001. 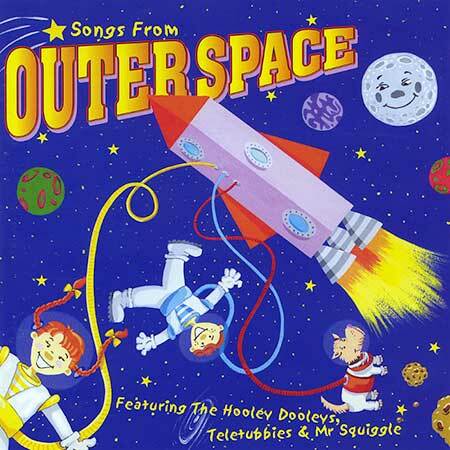 05: Mr Squiggle - Walking In Space. (2:31). 08: Mr Squiggle (Main Theme). (0:55). 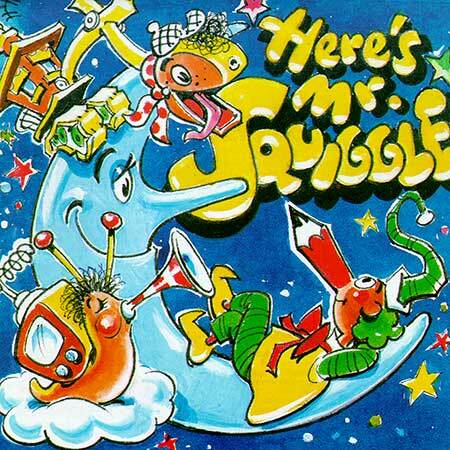 15: Mr Squiggle - Running Rings Around Saturn. (2:24). 17: Mr Squiggle - Goodbye Song. (1:06).